Rosabela is a beautiful assortement of 8 roses in tones of pink. 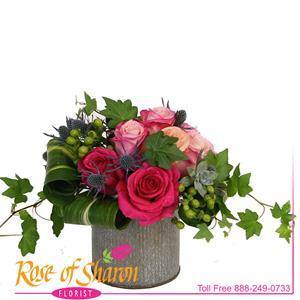 Arranged in our corragated tin vase, this beautiful bouquet dazzles with texture and tone. See Rosana to change the container.